I am back to Lübeck, but I shot so many photos in Reinfeld that it will take ages to upload them all to my blog. Anyway, I don’t complain because it’s good to have so many photos for future uploads. 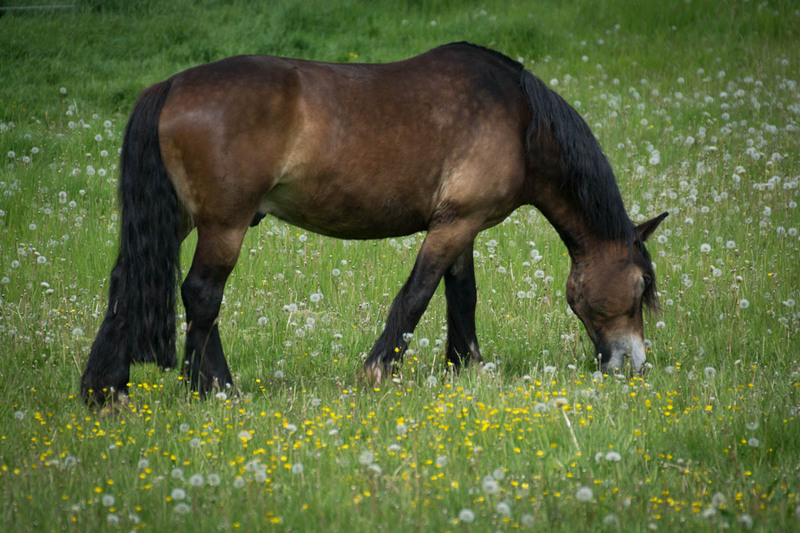 In this post I wanted to show you one of the photos that I shot there, it’s a beautiful brown horse on a lawn and I hope you like the photo. I never expected that I would get so much into photography, but now I do already have quite a mass of photos on my blog. I had to reblog this! I hope you don’t mind if I reblog a few more of your photos! Thank you, yes thats ok. I am glad you like the horse photo.